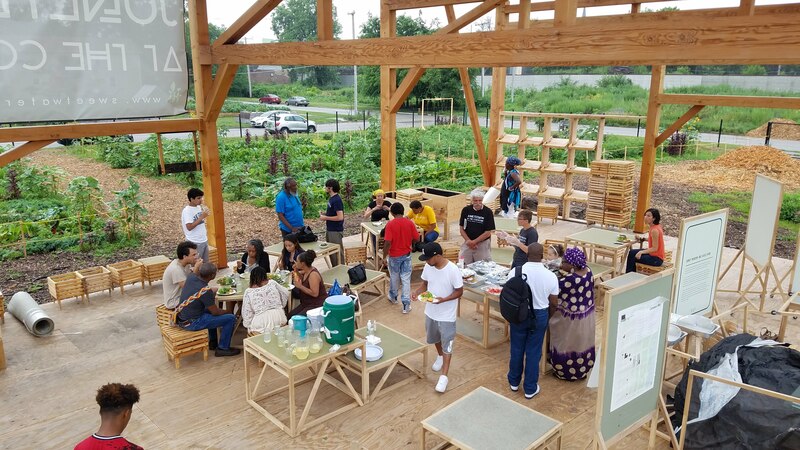 Join us for an afternoon of collaborative workshops that highlight emergent intersections across the challenges, opportunities, and practices in response to notions of vacancy, absence, community (re)development, gentrification vs. displacement, history as empowerment, and harnessing a neighborhood’s existing creative assets. Participants will engage with SWF Apprentices, local residents, and youth who have experienced firsthand the impact of marginalization and disinvestment. This program is part of the mobile CitizenSHIP programming series and takes place in and around Chicago. The event is free. Registration is encouraged. Read more about Sweet Water Foundation. This event will take place at Sweet Water Foundation Think-Do House, 5749 S. Perry Avenue, Chicago, IL 60621.